After a lifetime of winter visits to Norway, and a year living in what’s probably the wintriest place in Norway, I’ve learned a thing or two about winter in Norway. 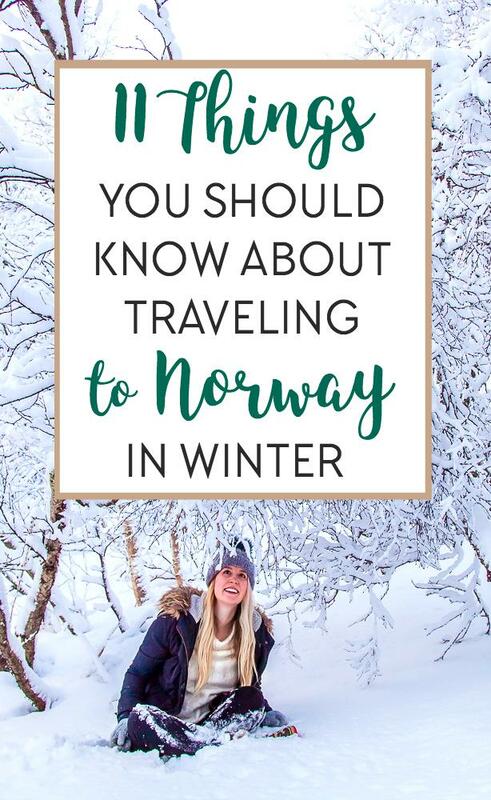 Now, personally I think winter is when Norway is at its best, but it can also be a bit of a tricky season for travel if you’re not properly prepared. So read through these tips and then go book yourself some flights! November, December, and January are dark months in all of Norway though, unlike the north, southern Norway does continue to see sun during the winter months. It’s good to remember the limited daylight hours when planning out your days, though the darkness can also add to your winter experience in Norway. You’ll see some amazing stars at night in the Norwegian countryside, and in the north longer nights mean more chances of seeing the Northern Lights! Or maybe no thank you, as I’ve actually seen a lot of visitors disappointed at the lack of snow and frost when they’ve visited Norway in the winter. If you want to see snow and experience some really cold temperatures, you’re best off heading inland and/or up into the mountains. 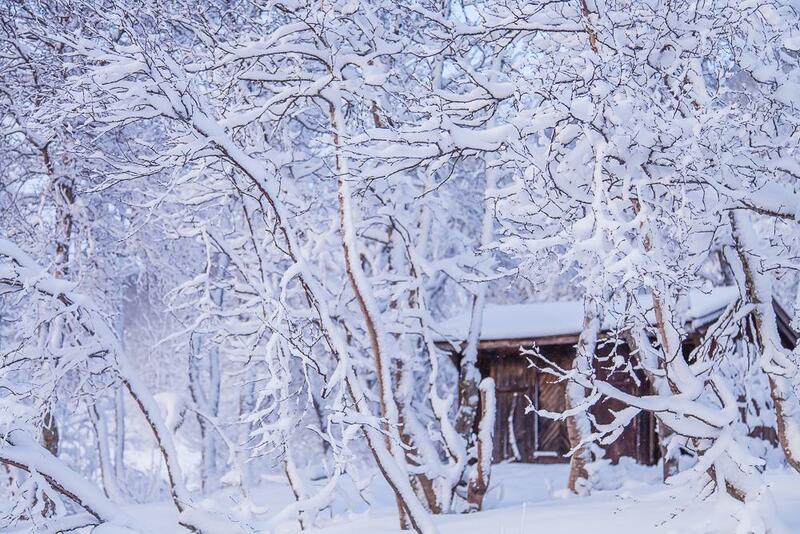 And that even applies to Northern Norway – Tromsø’s winter temperature’s often hover around zero. That said, sometimes even the Norwegian coast can get really cold, and you want to be prepared so bring appropriate winter clothing! 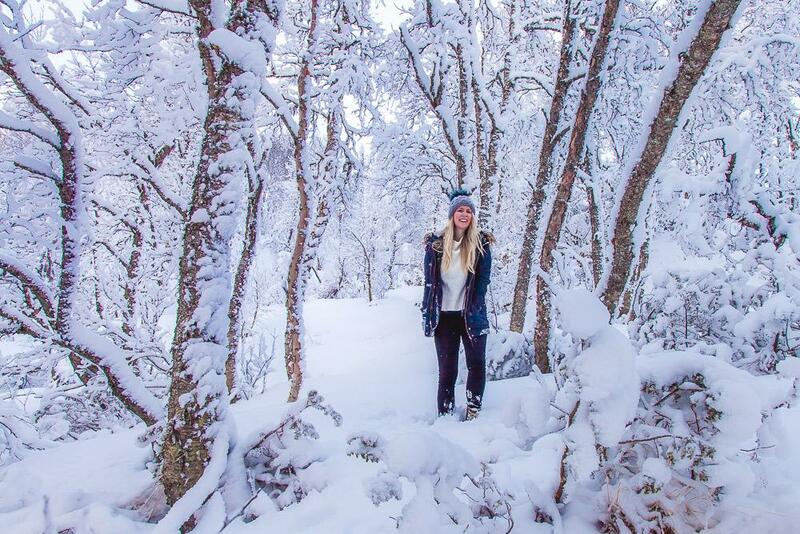 I’ve even written an entire post for you on what to pack for winter in Norway. Winter is off season in many places, so it can be much cheaper! In fact, after record numbers of tourists last summer, the fjord region has been talking about seriously jacking up their summer prices to keep the crowds down. 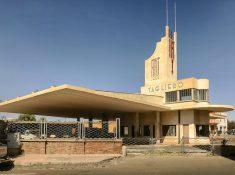 So if you’re on a budget winter is a much better time to visit! This is an annoying thing about planning road trips in Norway in the winter – just because you see a road on a map doesn’t mean you can drive it. I can’t seem to find information online about closed roads in English (anyone else know? ), but they list the closed roads here and you can use Google translate. 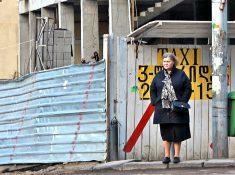 Your best bet is probably to just ask locals about any routes you’re thinking of driving. Also, on the flip side, I’ve found that sometimes Google Maps will route me away from roads in the summer just because they were closed in the winter. 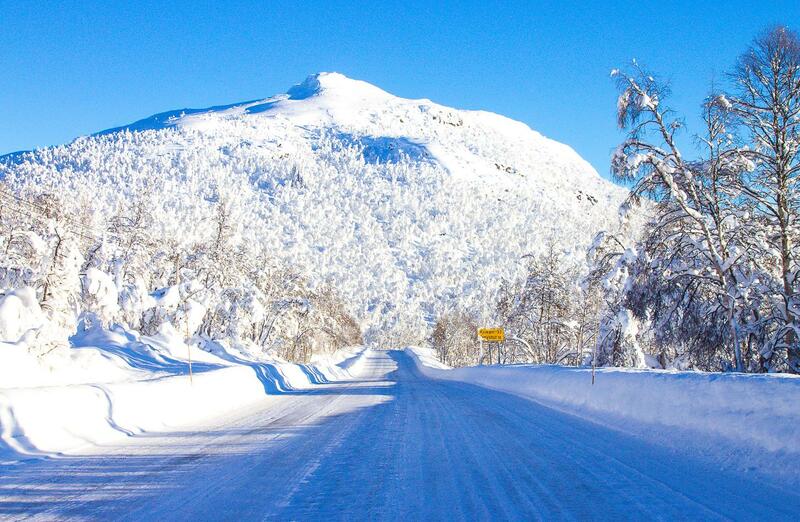 These tend to be Norway’s prettiest roads too, so don’t rely solely on Google Maps! Sorry, guys, I really want you to visit me, but if your hearts are set on seeing the Northern Lights you’re going to have to head way, way farther north. I mean, sometimes we do get glimpses of the Aurora in southern Norway, but sometimes the UK gets glimpses to – it’s not the norm. If you want any real chance of seeing the Northern Lights then hop on a flight to Tromsø! Like, I think Dan and I were even pushing it a bit trying to camp in early September. 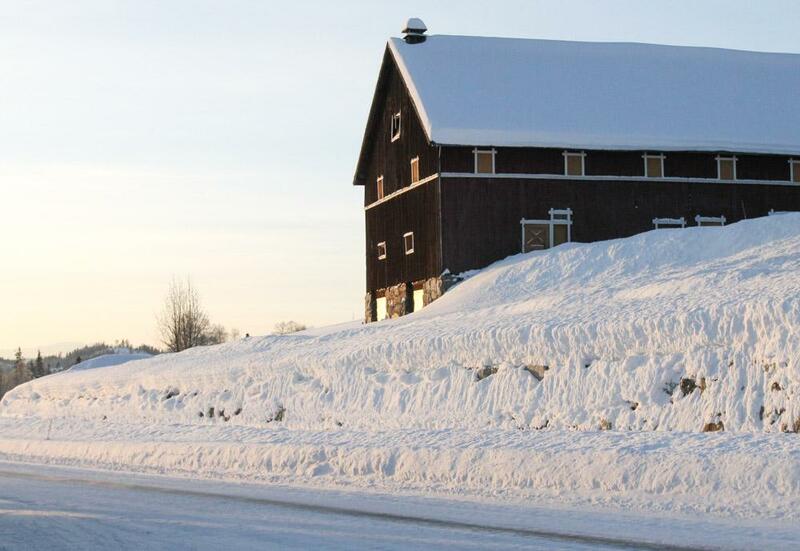 If you’re traveling to Norway on a budget try Couchsurfing or Airbnb. Airbnb is a really good budget option because you can get rooms in places with a kitchen, and being able to self cater will save you loads of money while in Norway. You can get a discount on your first Airbnb stay by signing up with my affiliate link. Or if you want a bit more luxury you could stay in a mountain hotel, like this one by Gaustatoppen, for a very traditional Norwegian experience. 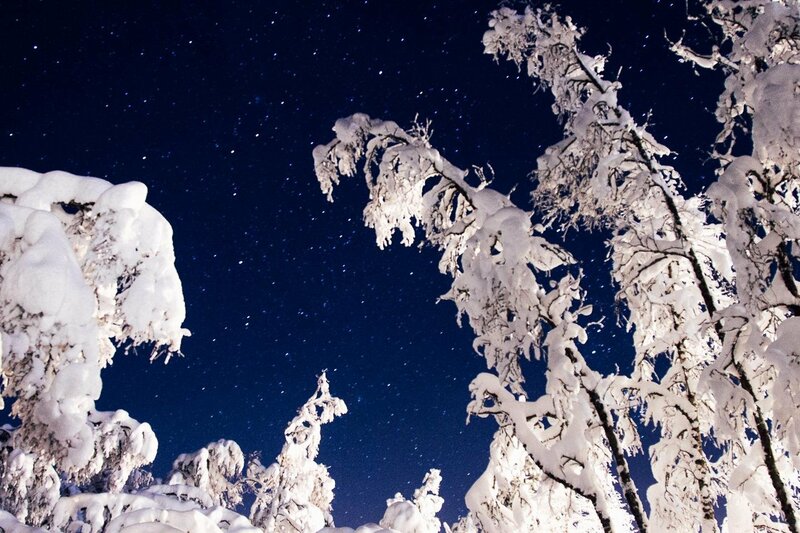 December can often be hit or miss with snow and is very, very dark, while January is cold. I’d say February is the best time to visit Norway for a true winter experience, whereas if you want milder weather with still lots of snow (at least in the mountains) then March or even April can be a good bet. 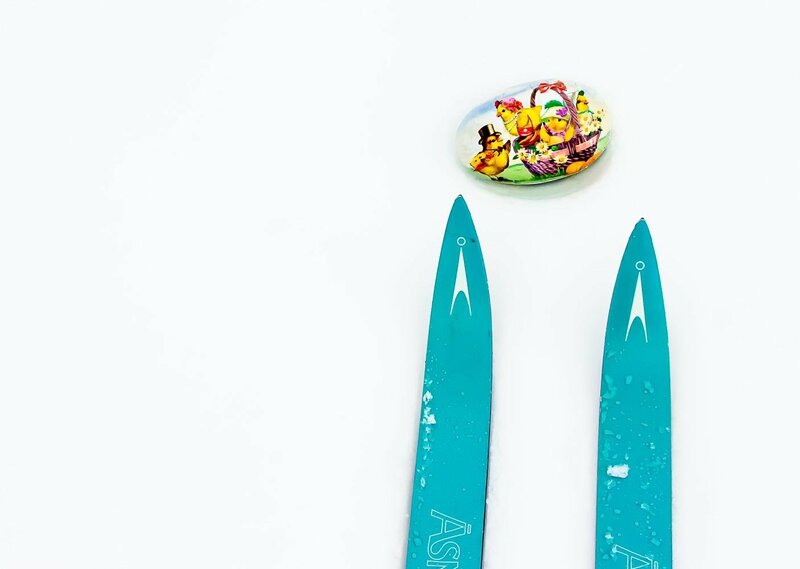 That’s right, forget egg hunts on grassy lawns and pastel spring dresses, in Norway Easter is all about skiing! 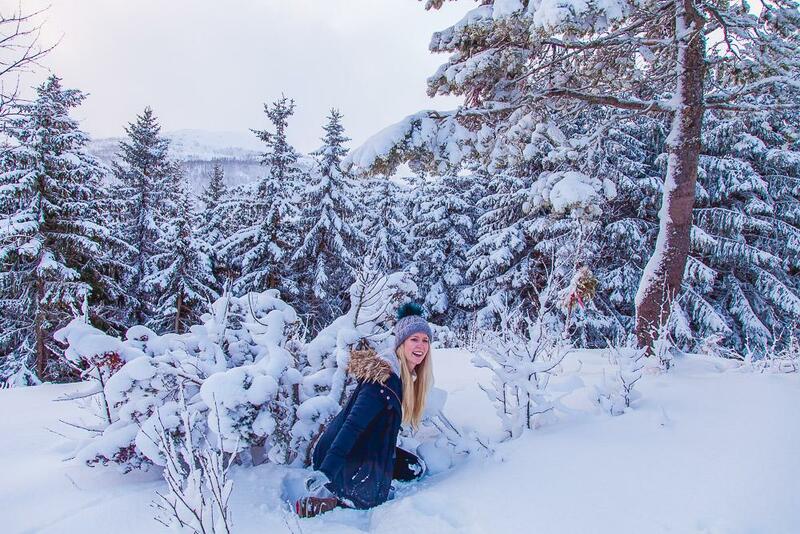 The Easter holidays are a huge deal in Norway and definitely worth experiencing – the mountains are full of people, parties, concerts, and fun activities over Easter – but keep in mind that it can get a little crowded as well. If you’re going to be in Norway over Easter you’ll want to book your transportation and accommodation way in advance. One of the things I love about living in Norway is how seriously they take their holiday time here. But that also means that you shouldn’t expect to get anything done during holidays, especially over Christmas! Pretty much everything, including grocery stores and even some public transport, will shut down by 1 pm on December 24, opening again on the 26th or 27th. So if you’re spending Christmas in Norway this year (yay!) get all your errands done and where you want to be before Christmas Eve and then enjoy a relaxing few days! Guys, can I get serious for a second? I feel like every week I’m hearing another story about someone visiting Norway and going on a hike in bad weather, or worse yet, a hike that is closed for the winter, and these stories never have happy endings. And that’s my excuse for responding in all caps whenever someone emails me telling me that they’ll be in Norway in October and have ALWAYS dreamt of climbing Trolltunga, and when the website says it’s only open until September, you can still go on your own after that, right? Like, sorry for shouting, but you should never, ever, ever ever ever go on hike in Norway that is closed for the season. A lot of these famous, Insta-popular hikes in Norway are expert-level and out of mobile phone reception. And not only is the weather too icy and the snow too deep for these hikes in the winter, but the days are also far too short. 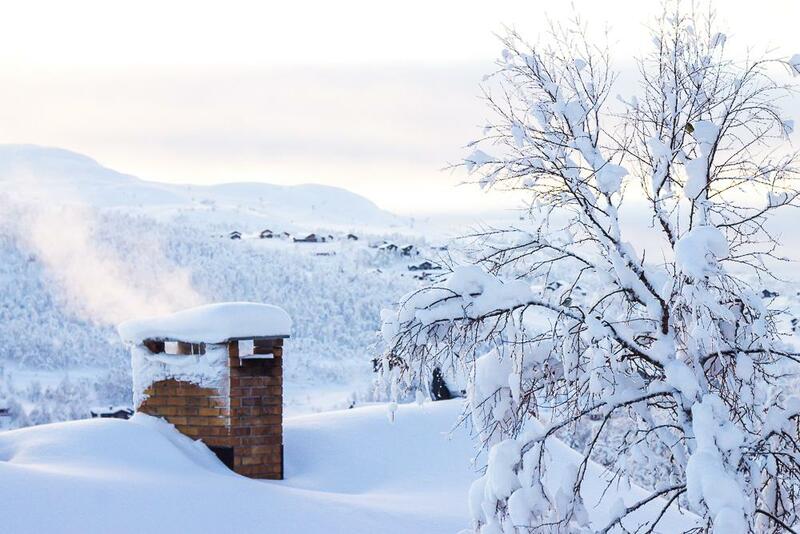 Cozy days in front of a fireplace in a Norwegian cabin look good on Instagram too! When I was younger my family would often fly to Germany before Christmas to visit some friends, and then we’d rent a car a drive up to Norway to see my grandparents. And every time it was a disaster. You, see in Germany cars are fitted with year-round tires. The problem is, Germany’s year does not include Norway’s winter. If you’re planning a winter road trip up into Norway then you’re going to want a car with winter tires, especially if you’ll be heading up into the mountains. In the winter the roads here are covered with a permanent layer of snow and ice and everyone drives around not only on winter tires, but studded winter tires. And while we’re on the subject of cars, if you will be driving here in the winter it’s good to keep water, a warm blanket, and snacks in the car just in case you get stuck somewhere. I also always have a wool blanket and shovel for those times my car gets stuck in the snow (if you put the blanket right at the front of the tires they won’t spin in the snow). 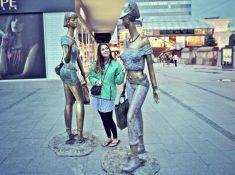 Norway travelers! Do you have anything to add? This post contains some affiliate links, which means that if you make a booking or purchase through one of my links I may earn a small commission – at no extra cost to you. Thanks a billion! I’m actually living in Copenhagen and pretend to visit Norway in the end of Feb and beginning of march. We are all around 33 years old and we are wondering to spend around 4 days, from Friday to Monday. What do you suggest for a couple and one friend, I really would love to visit the Fjords. 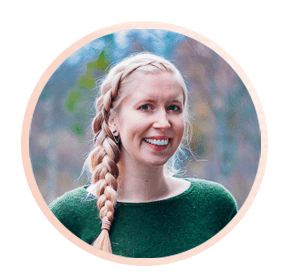 I am thinking about making Norway my next destination, so I’m bookmarking your blog 😉 Thanks for all the tips! The itinerary is still on the rough side, but I’ll probably do a 2 week trip in March, driving through the southwest and the fjordlands for the first week or so, and then taking a flight up to the arctic circle for 4 or 5 days to catch the Northern Lights and maybe Lofoten. From your experience, what’s March like for driving in Norway in general, and in the southwest in particular? I have zero experience in driving in the snow, so I’m a bit worried that Norway might come at me too strong. I mean, I’m used to wet, tough roads, but a permanent layer of ice on the pavement isn’t something that we see every day in Portugal. Thanks for sharing all this info. I hope to visit Norway someday as it has been on my list of travel destinations for some time now. I especially enjoyed reading about winter in your post. It’s so helpful. Hi Silvia thanks for your information is helpful. We plan to visit Norway end of November and we plan to drive from lofoten to tromso. I’m wondering that weather is fine to drive for this long journey?. Hi Silvia, loving your posts. My boyfriend and I want to visit Norway for a week mid-October. We want to head as far north as Tromsø and are looking at different travel options. We love the idea of self drive but are concerned with weather/road conditions. What do you think? 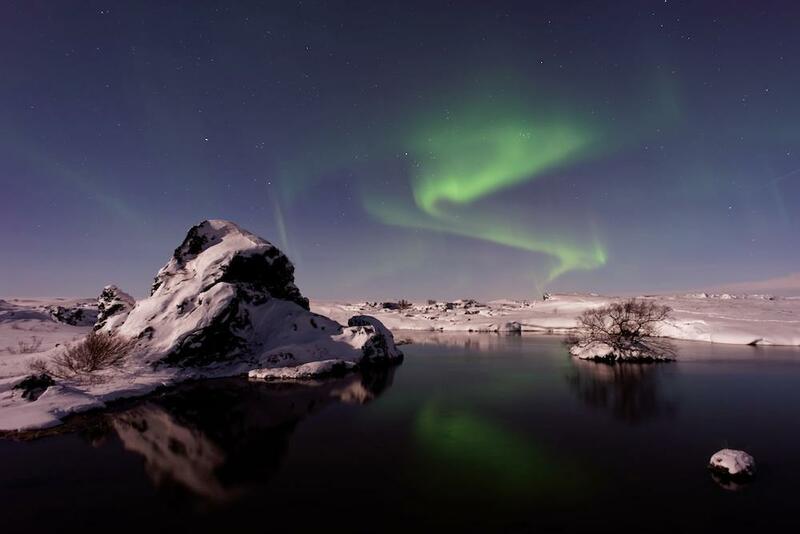 Thinking of booking a cruise to go in search of Norther lights as a surprise for my hubby’s birthday in 2019, as I know its on his bucket list. Have been looking at moon phases as I was told it is more likely to experience the lights if it is NOT a full moon. Really want to go in November, and was thinking early November as the days are still slightly longer than at the end of the month. What is the chances of seeing them in early November? Early November is a really good time to go, you’ll just have to hope for good weather as there can be storms that time of year. But I agree that’s it’s good to go when the days are slightly longer. And I’ve still seen Northern Lights when the moon was bright, so it really just depends on your luck and how strong the lights are.